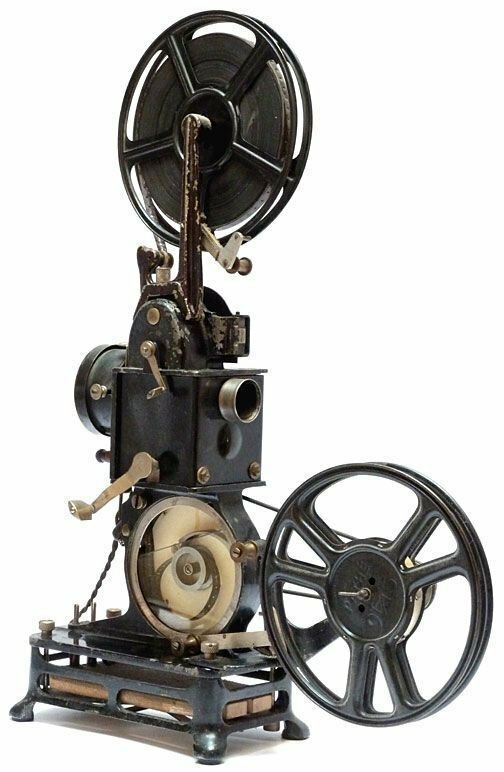 This is a 9.5mm projector manufactured by Continsouza for the pathé Company around 1925. The first model dated from 1922. This item is supplied without electric connection cable and as it was designed originally to run on 110 volts, it should not be connected to a mains power supply. Showing typical signs of use, but appears to function correctly mechanically.